I can’t look at a bottle of Lucozade without feeling poorly. When I was a child my mother would always turn to a bottle of the glucose laden cure all drink as a remedy for my all too frequent colds and flu. I have never forgotten the taste, that orange cellophane wrapper and the ever present bottle by my sick-bed. Memories and associations stay with us throughout our lives, often resurfacing when we least expect them to. When Paul Nash arrived in Dymchurch in 1920 he was seeking what used to be called a “rest cure”. His period as a War Artist had left him psychologically scarred and frail. Perhaps most significantly he needed inspiration, something new to look at and paint. His great war paintings such as “The Menin Road” and “We are making a New World” were created by Nash as a direct result of an emotional response to what he experienced on the frontline. The artist now needed a subject that would enable him to filter his own personal vision and his notions about the new “modern” art that was emerging from the major art capitals of Europe. During his 5 year stay in Dymchurch Paul Nash created countless drawings, paintings and prints inspired by the seawall, a coastal barrier which forms a graceful curve around St Mary’s Bay. Some of these works are quite traditional, representational pictures, others however reveal his desire to experiment with new ideas. They show an artist working through a creative process, making what he considered a set of works. 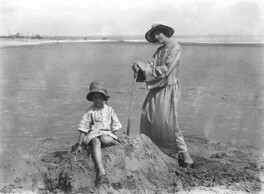 “The Shore” 1923 and “Winter Sea” 1925 are amongst his most successful Dymchurch pictures. When Nash finally left Dymchurch in 1925 he wrote in his autobiography “We find a home of our own in Iden, goodbye to Dymchurch”. Nash took with him to Iden , not only a substantial body of work, but an indelible memory of the place where he had staged at least a partial recovery. The Dymchurch wall was to remain imprinted on his memory. In a previous blog post I noted that Nash’s painting “Nostalgic Landscape” (started in 1923 and reworked in 1938) is formed from two seawall viewpoints. It is quite possible the picture started life as a conventional view showing the sweeping vista west towards Dungeness. 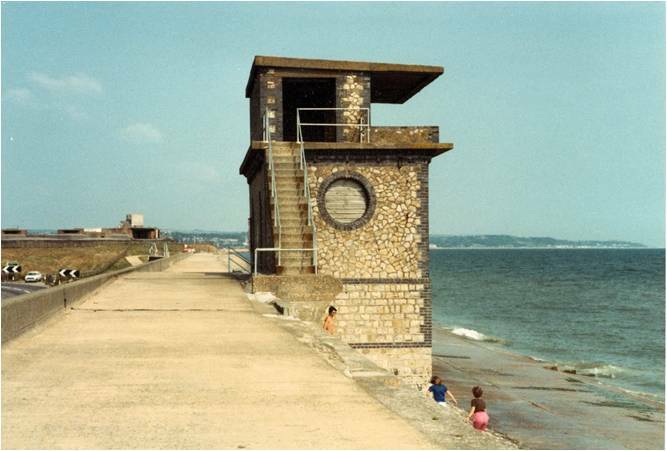 The finished picture, completed in 1938, shows the old searchlight emplacement which used to be on the seawall at Willop to the east. As the name of the painting implies, Nash was inspired by his memories of Dymchurch. There is currently a major retrospective of Nash’s work at Tate Britain. Amongst other major works by the artist is the oil painting “Totes Meer” or Dead Sea. 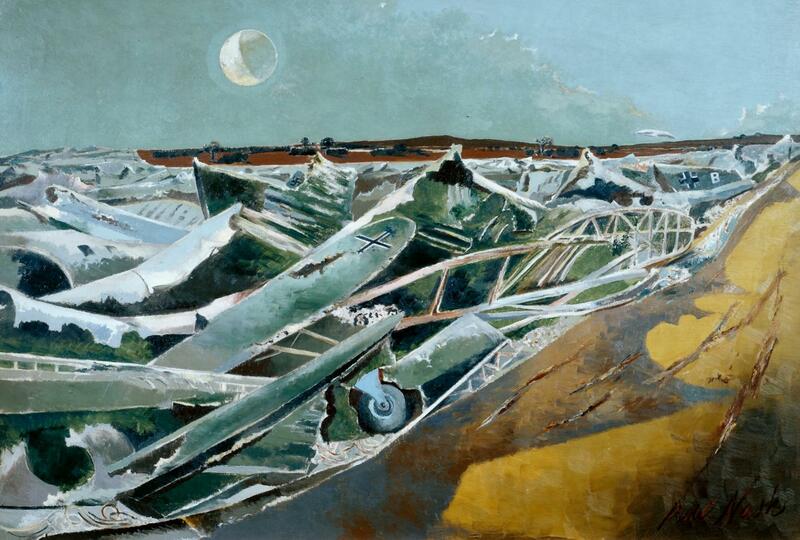 Around 1941, as part of his work as an official War Artist, Nash visited a dump at Cowley Oxfordshire where the shattered remains of crashed German aircraft were stored . He wrote; ‘The thing looked to me suddenly, like a great inundating sea … the breakers rearing up and crashing on the plain (beach). And then, no: nothing moves, it is not water or even ice, it is something static and dead.’ This great painting showing the “sea” of smashed metal is interesting for many reasons. Something that is striking is that the composition of the picture echoes precisely that of a watercolour entitled “The Sea” 1923 painted seventeen years earlier at Dymchurch. You could, of course argue that the composition is a standard seascape/beach/coastline format used by many artists, for example, Constable’s “Weymouth Bay”. It is generally thought that “The Sea of Ice” by Caspar David Friedrich was the inspiration for “Totes Meer” and that is entirely feasible. 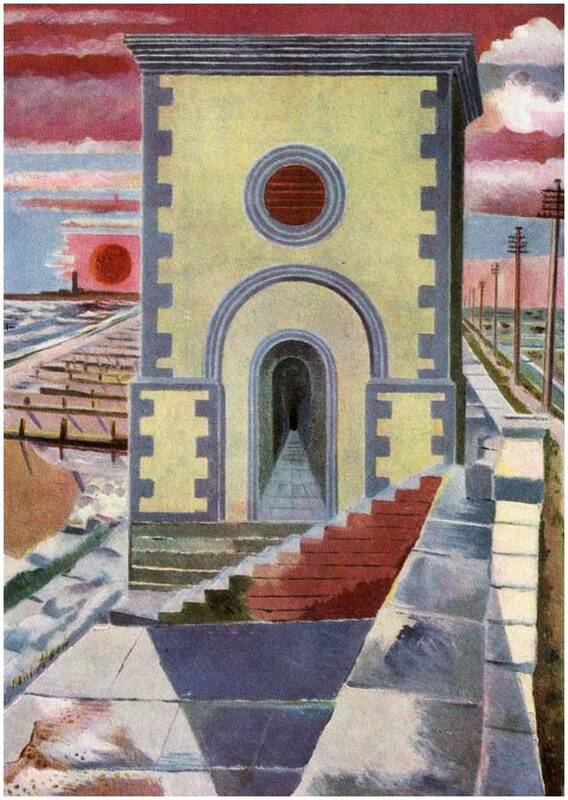 But for me this wonderful painting has its roots firmly planted in the Dymchurch seawall and Paul Nash’s memory.of his time spent there. “Paul Nash” is at Tate Britain until March 2017 Go and see this terrific exhibition. The incoming tide washes up some amazing things. I love beachcombing, but we don’t get much of interest on Dymchurch beach. The odd flip flop, bits of wood, though once, several years ago , hundreds of oranges appeared overnight, a beautiful sight. There’s a wonderful blog written by Nicola White called tidelineart.com. It’s of a type which is which is known as a “mudlarking” site. Nicola scours the banks of the Thames for pieces of driftwood, pottery, glass, old rope and plastic. She then creates artworks from her finds and gives new life to these fascinating fragments from history . It’s a beautiful Romantic idea and I urge you to have a look. A few years ago we were camping at Barns Ness near Dunbar and we met a friendly man who lived in Edinburgh. In fact he was so friendly he invited us to see where he lived. He was a Collector and my goodness what a collection he had. Beautiful glass and artwork, including a rather good drawing by John Lennon. In addition to acquiring some of the finer things, the man had a penchant for combing the beaches of Britain looking for bits of coloured plastic that had been released by the sea to be hidden amongst the sand and shingle. He sorted them by colour and stored them in deep trays. The variations of shapes and shades within the colour categories was fascinating. Collected together there was beauty in these redundant, mass produced objects that had fulfilled their purpose in this world and had been cast into the deep blue sea. Within their boxes they had a new life, they were now looked at, admired and there to be cooed over. People could actually look at them and minutely observe their nuances of colour, shape and function. I’m digressing, getting swept along by a tidal wave of arty thoughts but there is a serious side to my musing around all this water borne polychromatic plastic stuff. I want to talk about the Pacific Trash Vortex ( no they’re not an East Coast death metal band – although it would be a great name) . In reality it’s an almighty swirl of plastic and non-degradeable muck that inhabits that particular area. It’s not just in the Pacific though, it’s all over the world’s oceans. Within our seas there is a massive amount of plastic which causes real problems for marine life. You only have to walk our shorelines (though not the pristine beach of Dymchurch) to see how much there is. “Drink the clean healthy water within my bottle, its good for you”……. They say that when we pick up pebbles from the beach, the stone chooses us, not the other way round. The Aqua Pura top had chosen me. Was it telling me something? It’s over three weeks since she appeared in St Mary’s Bay. “At anchor” maybe two miles off Dymchurch, an empty vessel, making no sound, by night its lights twinkle as a reminder of its presence. 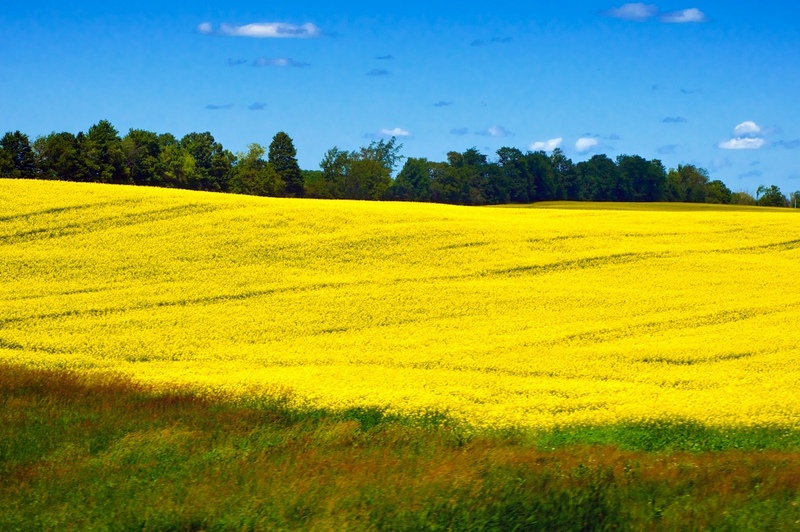 The Michigan Highway, or “Shoebox” as she has become known, has become a long-term visitor. Some people think she isn’t the prettiest of sights. Last year a similar ship capsized in the Solent. The “Hoegh Osaka” was carrying hundreds of luxury vehicles, Land Rovers, Porches, Jaguars and a Rolls Royce for good measure. The vehicles sustained varying amounts of damage. It was thought that rather than face bills for mechanical defects that might have occurred in the future, it might be cheaper to scrap the lot (worth around £30 million) and cut losses. There was even talk of scrapping the entire fleet of car transporters as this was not the first accident of this type. The “Hoegh Osaka” was eventually towed to Falmouth and repaired. On January 9th she was off Lands End (vesselfinder.com) making her way up the English Channel, so there’s a happy ending, for the ship at least. Back to the Michigan Highway. There has been much discussion on Streetlife and Twitter this week. Where did she come from, why is she parked up in our bay? She’s not the most attractive ship, but is designed for functionality. She’s angular, boxy, shoebox is an apt description. What I like about her is, she’s an example of minimalist shipping. From Dymchurch seawall she often presents full length, at dusk in the sunlight she is a block of warm sandstone, in the morning light, she’s granite. When she faces inland the bow appears massive, she’s empty and high in the water, so you can see a lot of her. She dominates the Bay, you can’t help but notice her. Some people have described her as unspeakably ugly, an artist friend said to me not even the most talented watercolourist could make that look good. I beg to differ. Not only does the Michigan Highway have an imposing and some say brooding presence, she is a constantly changing spectacle. There’s something to be said for quiet contemplation, subtle changes in shape, colours and lighting. The fact that she is built to carry Chelsea Tractors and toys for the super rich should not cloud our judgement. To me, less is more and the super functional Michigan Highway is a thing of ever evolving beauty. Just lately there has been a right hullabaloo in the village. Tattoos – I won’t go into murky depths of it too much, I don’t want to be accused of taking sides. Also I don’t want to make enemies, goodness knows what could happen if you got on the wrong side of an angry person with a needle and ink. Anyway, all that’s been going on got me thinking about body decoration and why it has become so popular with people in western society. There is a thread running currently on the “Dymchurch Online” forum http://www.dymchurchonline.com/forum2011/forum.php called “Tattoo Concerns”. Myself and the usual suspects on the forum have been discussing what makes people have tattoos. In the village there are currently two Tattoo “Parlours” as they are known. One never seems to be open the other looks to do a roaring trade in all sorts of body decoration. Good luck to them they are probably making a half decent living from it. I was thinking about why at the moment people are so desperate to cover their bodies with all manner of designs and marks. It’s usually claimed by the tattoo fraternity that their chosen designs are a form of “self-expression”. What are they expressing? The designs are more often chosen from a book, the artwork has been created by someone else. Often that someone is from another culture. So why do you want to become a Celt or perhaps a Japanese Samurai Warrior? In the forces and for especially for prisoners a bit of body decoration is considered a badge of honour. 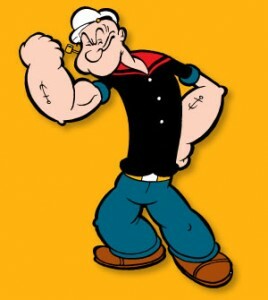 Compared to some of today’s overblown and messy creations, Popeye with his understated solitary anchor on each arm seems quite restrained. Now those are proper tattoos ! I suppose it’s fashion,.in ten years time the essential look will be for pale unblemished skin. Things tend to go like that. Art goes from one extreme to the other. For example in the late 18th century. we had Rococo style, all swirly curves and frivolity – then lo and behold along comes Neo-Classicism, which is all about order, structure and seriousness.. In the 60’s we had Pop Art, decorative, commercial and colourful, then along came Minimalism, which was hardly there at all (but very deep and meaningful nonetheless) . A while ago I was watching the England in the Rugby League World Cup, after the game it was the usual shirt swapping. I couldn’t believe what I saw, the player’s naked torsos to a man were covered in blurry blue and red designs – and it wasn’t bruising. Can anybody honestly say David Beckham has become more attractive now his skin is 50% tattooed? 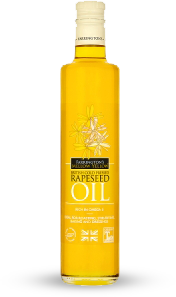 There was a mildly amusing article in the Times recently about how one or two mischievous tattooists have been inserting symbols into customer’s designs which have, shall we say, “alternative” meanings to those that were ordered. It seems that quite a number of tattooed people are now sporting something quite different to what they imagine. Spelling mistakes are also rife. If I was thinking of starting a new business I would concentrate on inventing an effective tattoo removal system. In the next few years someone is going to make a fortune. Dragons Den anyone? Spot the odd one out. William Pitt the Elder, Oscar Wilde, Noel Coward. Give in? Well it’s Oscar, unlike the other two he never graced Dymchurch with his presence, at least not to my knowledge. Pitt visited the New Hall (one of the oldest courthouses in Great Britain) in 1804 to try and convince the landowners of the Marsh that they needed a canal to repel the threat of a French invasion. He got his way, we have the Military Canal, plus a nice long row of Martello Towers as well. However, my main interest in all this is to write about Noel Coward and Athene Seyler. Around 1925 Noel was starting to do quite well for himself, he had four shows running in the West End and was known to a worldwide audience. 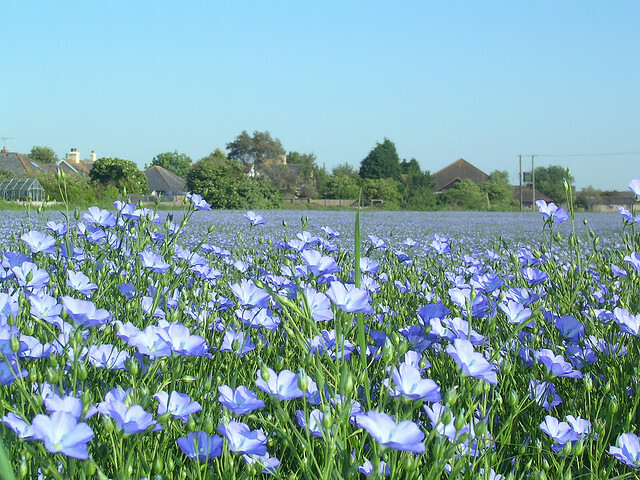 He also had an overwhelming urge to establish a country home in or around the Marsh. It’s fairly common knowledge that whilst house hunting, Noel stayed for a while at a cottage next to the Star Inn at St Mary in the Marsh. He rented the cottage from Harold Body a farmer, miller, builder and something of a dealer in property. It was Harold Body that eventually offered to sell Noel “Goldenhurst” a large and ancient farm on Giggers Green Road. Not so well known is that the great man also stayed in Dymchurch during his quest to find the perfect rural idyll. Noel Coward was friendly with the actress Athene Seyler and stayed with her at her second home, Barn House, which is situated just behind the seawall. Athene Seyler is one of those familiar faces who used to crop up in a certain type of English film playing slightly dotty old ladies. She was married to James Robert Sterndale-Bennett who was from a well-known and important family. Sterndale- Bennett, who was a grandson of the renown composer Sir William Sterndale Bennett , died in 1941. Athene then moved in with fellow actor Nicholas Beau Hannen. Hannens’ wife refused to divorce him and it was only when she died that the couple were married in 1960. It’s interesting that the National Portrait Gallery have photographs of Athene at Barn House taken by the studio, Bassano Ltd.
Alexandra Bassano specialised in high society and royal portraits. The photographs at Barn House were taken on the 30th August 1922. There are also Bassano portraits of artist Paul Nash and his wife Margaret. They were taken on the same day in the same place. The Nash’s were good friends with the actress, she and Paul took walks together along the seawall. 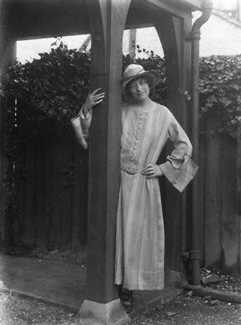 In all the pictures Margaret Nash and Athene adopt a “Bohemian” look typifying artistic people at leisure in a country setting. 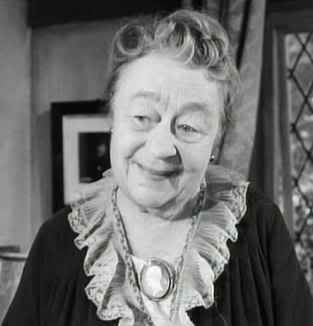 Athene Seyler lived a very long life she died in 1990 aged 101, having enjoyed an illustrious career on stage and screen. A well known quotation from Athene was “My work was my holiday to me, I enjoyed it so much, I had a smashing time”. 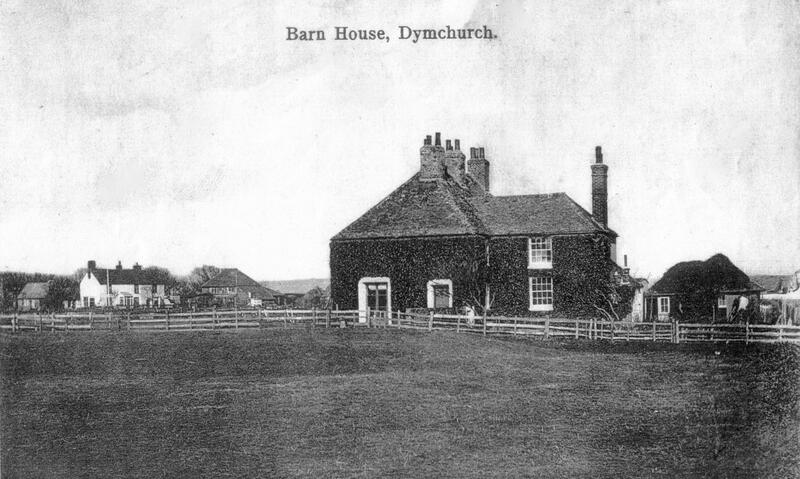 Quite a few people in Dymchurch never leave the village (well, maybe a trip to Ashford at Christmas). However I would ask all residents who have an inclination towards the Arts to make the perilous journey to the picturesque town of Rye in the next few weeks. The reason? Well I have to declare a professional interest. 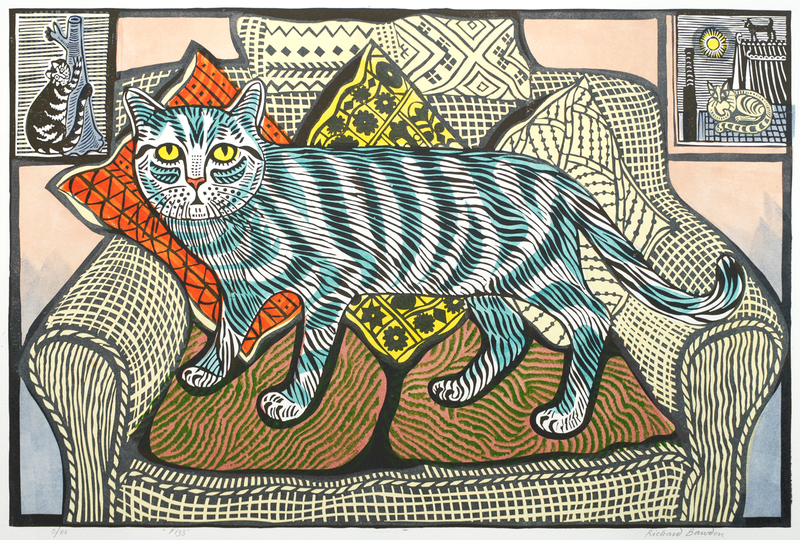 I have organised (“Curated” is the modern parlance) a nice exhibition at Rye Art Gallery called “The Art of the LInocut”. Everyone who bothered to attend school for any length of time will have had a go at this lovely form of printmaking. I suppose it’s the logical step upwards from Potato printing, the much-loved technique that is a mainstay for all primary school teachers. There’s something unpretentious and honest about lino printing. Nowadays kids are probably not allowed near sharp tools, so it’s not as commonly taught as it used to be. The way Michael Gove is shaping up there soon won’t be any creative subjects taught in schools anyway. What sort of world would we have without the Arts? And indeed what sort of economy. They just don’t see it do they? Anyway, rant over. Back on topic.